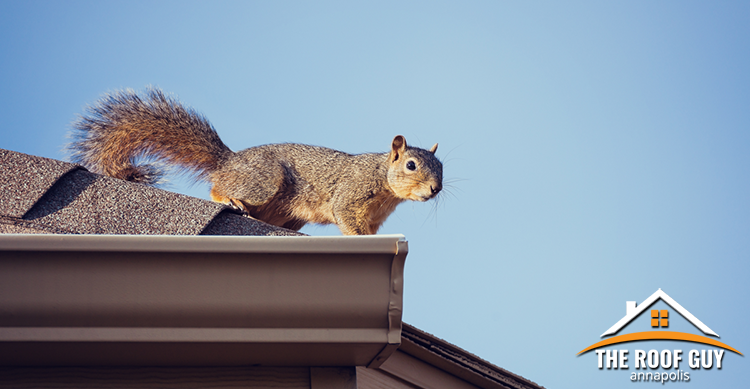 Have you seen squirrels, raccoon, birds, or other critters hanging out on your roof? Roof damage from animals is a common occurrence. While you can take steps to protect your roof from the elements, it is imperative that you protect it from pests as well. But, how do you know if critters are damaging your roof? There may even be damage from the inside that you are unaware of caused by bats, mice, opossums, or insects. You must remain vigilant all year and keep an eye out for specific signs. That way, you prevent the need for costly roof repairs. Here is what to look out for and how to avoid critter damage to your roof. Your best defense against critter damage is to ensure the integrity of your roof. We always recommend that you first inspect the roof from the ground by walking around your home. Take note if you see apparent holes, either on the surface or in any of the eaves and flashing. Gaps not only serve as an invitation for critters, but they also encourage mold growth. Next, go up into your attic or crawlspace on a bright sunny day and check for light peeking through the ceiling. If you do, it is an indicator of a hole in the roof. Sometimes it is hard to spot holes with a visible inspection, so it is a good idea to schedule a professional review. Consider that a mouse only needs a hole the width of a nickel to enter your home. So, address any issues immediately! Check the status of your roof’s shingles. Look for any that may seem askew, peeling, or missing. Whether critters did the damage or not, any breach in your roof’s structure is an invitation to chew further and possibly nest or enter your home. Pay particular attention to the areas around chimneys, pipes, ridges, and valleys. These are ideal places for hidden damage. If you see wild animal droppings in your attic, you can bet critters have taken up residence. Animal feces pose a health hazard and can bring disease and germs into your home. Proper and immediate removal is recommended. Make sure to wear protective gear. If you feel it is beyond your scope, call in a professional exterminator. Are you hearing strange noises like scratching or rustling at night? You are not going crazy! Most critters are nocturnal, therefore are active once the sun goes down. If you hear skittering, but see no external signs, we recommend you have your attic checked by a professional, to be on the safe side. Pest control experts notice symptoms you may not think of and can set traps. Furthermore, agitated wild animals can become aggressive, therefore to avoid injury call in the pros. Look for bite marks, on wood or any stored items. Search around the perimeter of the floor for damage to the trim. Look for unexplained holes in wood that have sawdust collected beneath. Inspect any wires or protective coating on chords for chew damage. Exposed wires are cause for alarm for many reasons. Always assume wires are live and electrified; never touch the. Contact an electrician immediately. • Perform a visual inspection at the start of each season, At least about every three months. Once critters invade, they wreck havoc pretty quickly. • Schedule an annual professional inspection, or at the first sign of critter damage. • Immediately address any holes or issues. • Install protective barrier screen on the tops of chimneys and pipes. • Keep trees, bushes, and shrubs that are close to your roof or house. • Clean up any fruit or berries or veggies lying in your yard from your garden or fruit-bearing trees. 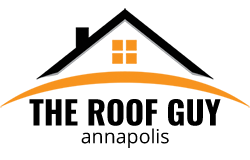 The Roof Guy of Annapolis provides free roof evaluation. Should you suspect an animal has caused damage to your roof, do not hesitate. Contact us right away. We have proven methods how to avoid critter damage to your roof and can address any issues immediately.